Entrance to the villa is via steps from the private parking. The main living area is spread over one floor: 2 bedrooms (one double and 1 twin), the cool air-conditioned lounge with kitchen/dining area, the main bathroom and the spacious terrace offering breathtaking seaviews. The third bedroom is located on the upper floor, has air-conditioning as well as an en-suite WC with basin and is accessed by a spiral staircase. The private pool with sun terrace, sunbeds and shades attracts sun all day long and is the perfect place to relax. With such a generously sized private swimming pool and seaviews, you'll be tempted to spend all your holiday outside on the patio. 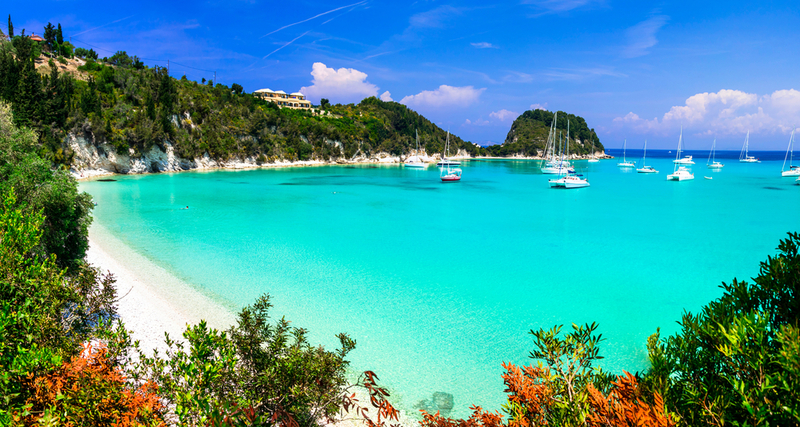 What makes Paxos unique is the stunning beaches. So when (and if) you are tired of the pool, just venture out and dive into the crystal clear water of the Ionian Sea. 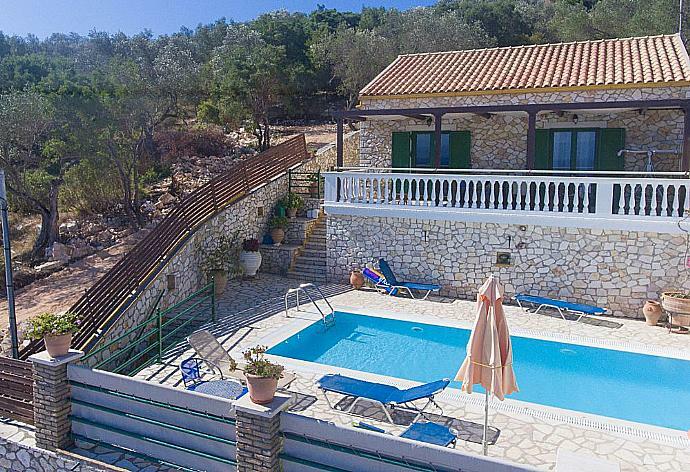 Or take a taxi boat to Antipaxos, recently awarded as a "top 10 beaches in the world" destination. 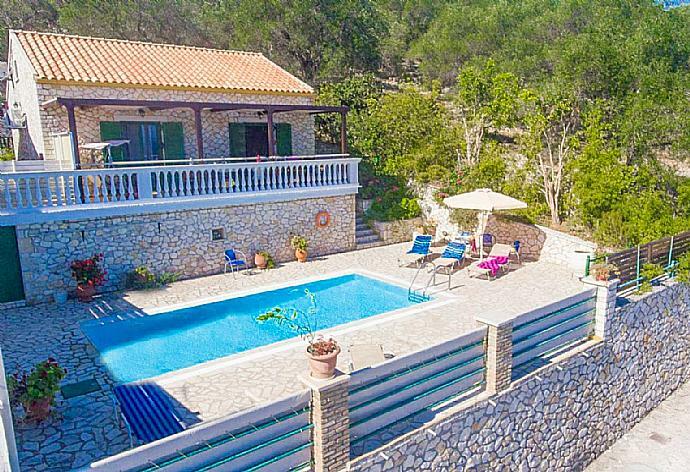 Villa Martha was booked 3 days ago!